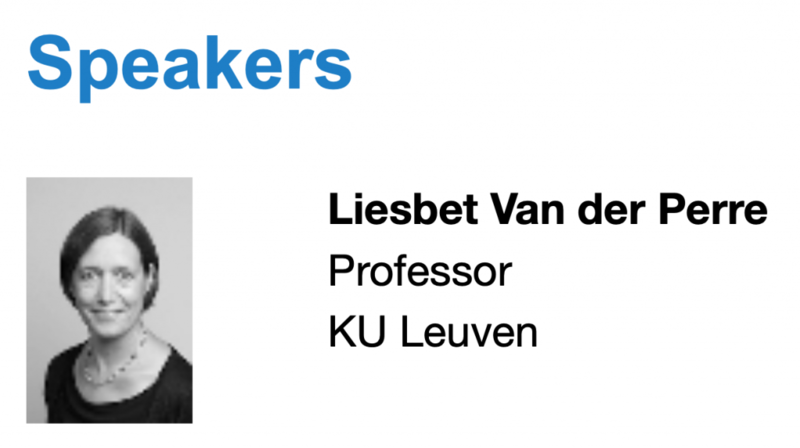 Come listen to Liesbet Van der Perre, Professor at KU Leuven (Belgium) on Monday February 18 at 2.00 pm EST. She gives a webinar on state-of-the-art circuit implementations of Massive MIMO, and outlines future research challenges. The webinar is based on, among others, this paper. In more detail the webinar will summarize the fundamental technical contributions to efficient digital signal processing for Massive MIMO. The opportunities and constraints on operating on low-complexity RF and analog hardware chains are clarified. It will explain how terminals can benefit from improved energy efficiency. The status of technology and real-life prototypes will be discussed. Open challenges and directions for future research are suggested. Listen to the webinar by following this link. The webinar has been announced publicly so you also search for its name in search engines.